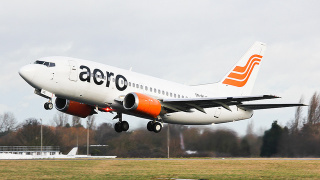 The Nigerian Civil Aviation Authority (NCAA) has imposed an applicable sanction on Aero Contractors Airlines in line with Nigerian Civil Aviation Regulations. This is in response to the airline’s breach of safety regulations when it used a ladder to disembark passengers at the Bauchi airport on Saturday. In a letter conveying the sanction, the Director General of the regulatory agency, Capt. Muhtar Usman, said the action of the airline in allowing the use of a ladder to disembark passengers from a Boeing 737-500 aircraft in a non-emergency situation, was contrary to its approved aircraft handling manual. 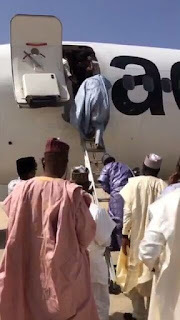 “Therefore this is a violation of Part 9.2.4.2(b) of Nigerian Civil Aviation Regulations, which attracts a civil penalty. “All relevant agencies made useful submissions during the course of the investigation,” NCAA said in a statement yesterday. NCAA noted that although the incident did not result in any mishap, the aircraft was airworthy and the crew qualified to operate the flight. 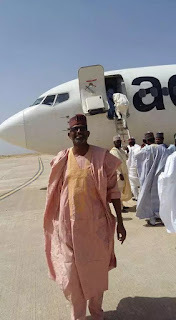 “However, it is viewed as a breach and resultantly a fine running into millions of naira has been clamped on the airline to serve as deterrence and to forestall any similar infraction by any other airline operator,” the director general said. In addition, the captain of the flight was fined for failing to comply with the provisions contained in the aircraft manual. “The Nigerian Civil Aviation Authority (NCAA) therefore wishes to reiterate its earlier warning that all airlines should endeavour to adhere strictly to Civil Aviation Regulations,” NCAA added.